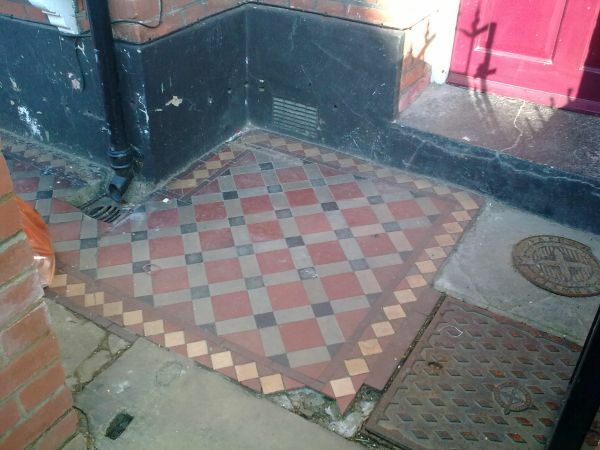 A front entrance with original tessellated tiles inevitably looks tired after more than a century of use, as this house in Dagnan Road, south-west London, demonstrates (above). Replacing like with like will generally produce the best result, as can be seen from the front entrance of a neighbouring house. Everyone knows how the Victorians built and finished their houses. After walking down hundreds upon hundreds of streets, you imbibe the style as if by osmosis, so trying to pretend you live in a slick minimalist pad by putting down slate, white gravel, flag stones or other non-original surfaces is unlikely to work. The new will probably jar with the old. A really well-finished job, like the one below, will look far superior.